SMARTPHONES MAKE GREAT instant cameras. They’re always on us, they boot up within moments and the quality now is better than what we could have imagined years ago. So it’s inevitable when you’re taking numerous photos that you will end up with a large collection of them, and have to go through the entire process of deleting the unnecessary ones. You could look through them on your phone, but that could take a while to do so here are some quick ways to filter through them. Usually, the easiest way is to connect your phone to your computer and view it either through your hard drive or through a complementary programme (iPhoto if you’re an iPhone user on Mac for example). Regardless of the device you’re using, you will be able to view all your photos here and it’s generally a much faster way of filtering through your collection, especially if you want to delete in bulk or transfer some photos to your computer. If that sounds like too much effort, you can relax as there’s enough help at hand to ensure you don’t get bogged down. For iOS, you have a collection of apps to choose from like Flic, which allows you to cycle through individual photos like Tinder, swiping left to delete and right to keep. 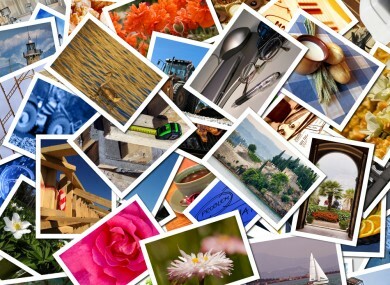 Others like Duplicate Photo Fixer will get rid of any repeat photos you may have taken. For Android, you’re better off going for something like Gallery Doctor if you find yourself with numerous duplicate photos. Provided you’re keeping things in order, there are ways to save more photos on your phone without compromising space. Some camera apps allow you to adjust the resolution quality of your images, allowing you to reduce the file size of photos without taking a hit in photo quality. This is handy if you can’t (or don’t want to) rely on micro SD cards or online services like Dropbox. This is usually found hidden in settings, but once you change, be sure to test it out first before you stick to it. Unless you’re looking to blow up and print out your photos, you don’t have to use the highest resolution settings, but the type of camera you have will determine how much of a change there will be if you drop the resolution. Email “Too many photos on your phone? Here's how to filter through them quickly”. Feedback on “Too many photos on your phone? Here's how to filter through them quickly”.